Every year, the New Melle Fire Protection District’s paid firefighters inspect and flush all of the fire hydrants that are located within the district. 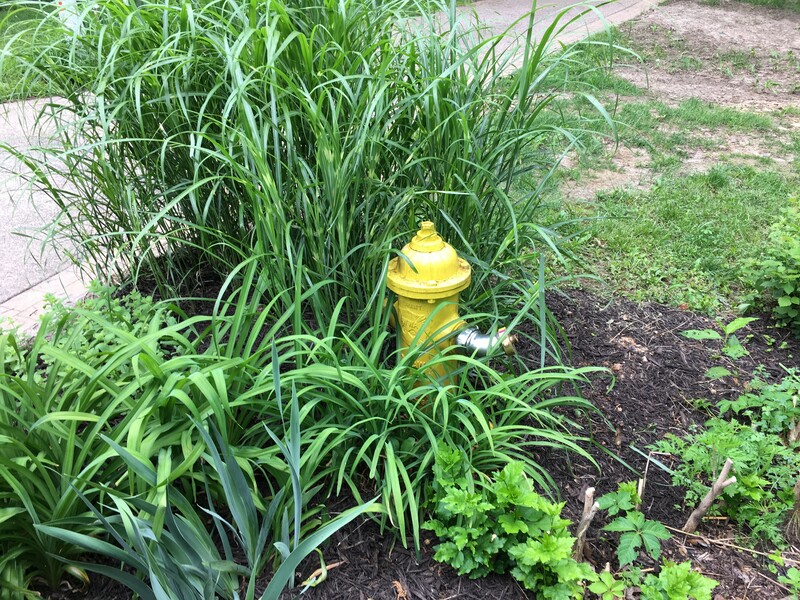 There are 760 fire hydrants located in the St. Charles County portion of the fire district, and additional ones located in Warren County (Warren County inspects and flushes them annually). Three years ago, the firefighters went to every hydrant in the fire district (both St. Charles and Warren counties) and obtained exact GPS locations so that they could be added to our response software. While GPS codes make it easier for the firefighters to find the hydrants while responding on fires, there have been additional hurdles that they have to overcome. This year while testing hydrants, the firefighters found multiple hydrants that were not easily visible or accessible. Multiple hydrants were blocked by ornamental grasses and bushes so that they were not visible from the road. One hydrant had a brick mailbox installed in front of it so close that the wrench used to open the hydrant wasn’t able to be used. 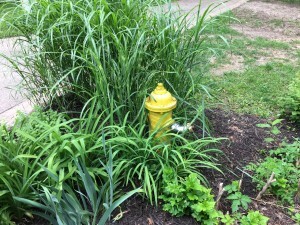 In prior years, we have had hydrants that were painted by the homeowners to match their landscaping. While this may seem like a harmless act, it does put you and your neighbors in danger. Fire hydrants are painted bright colors so that we can find them quickly in an emergency, and they can also sometimes be color-coded to indicate available water pressure. For a home that is 2400 square feet, it is estimated that it will take 800 gallons of water per minute to extinguish. When a fire truck pulls up to a house, it is equipped with 750 gallons of on-board water, and in this area of the county it takes additional trucks longer to arrive due to the terrain and the manpower. Once those 750 gallons of water is expelled, we are waiting on additional units to arrive with more water. We rely heavily on fire hydrants, and when they are not visible or they are blocked, this puts not only the public in danger, but also the firefighters that are attempting to extinguish the fire. While the fire hydrants are located on the property of your home, they are not owned by the homeowner. Most fire hydrants in this area are painted bright yellow, which makes them much more visible. But if they are covered by landscape, painted brown to match mulch, or blocked by objects, the firefighters are spending critical minutes trying to locate them. We ask that if you have a fire hydrant located on your property that you keep it completely visible from the road and clear of all objects. No one ever plans on their house catching on fire, but if it does, we will be there and we will need that water, and quickly. Thank you for your compliance.